DM Metalloys Pvt. Ltd. one of the distinguished manufacturer, supplier and exporter of Stainless Steel 304/304L/316/316L 2B Finish Coils. No. 2B Finish is a bright cold rolled finish, fashioned very similarly to the No. 2D finish. The alteration in the production lies in the final light cold rolling pass of a No 2B Finish that is done using refined rolls. The No. 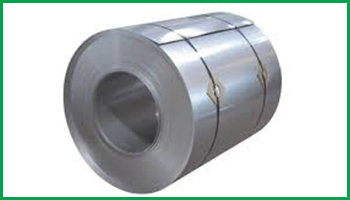 2B is a general purpose cold rolled finish and is commonly used for all but exceptionally difficult deep drawing applications. It is more easily refined to high luster than a No. 1 or No. 2D finish. We also provide various sizes and specifications as per the patron's requirements. DM Metalloys Pvt. Ltd. Supplies Stainless Steel 304/304L/316/316L 2B Finish Coils in Faridabad, Gurgaon, Gurugram, Gaziabad, Noida, Lukhnow, Delhi, Delhi NCR, Ludhiana, Amritsar, Chandigarh, Jalandhar, Baddi, Punjab, Uttar Pradesh, Haryana, Mumbai, Pune, Sahibabad, Meerut, Manesar, Bhiwadi, Bawal, Neemrana, SIDCUL, Sonepat, Ambala, Mohali, Panchkula, Kapurthala, Bareli, Kanpur.